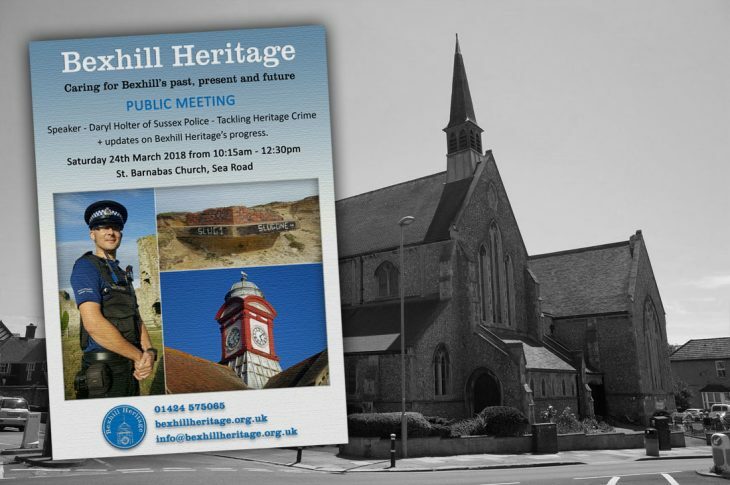 On Saturday 24th March 2018 Bexhill Heritage will be hosting a public meeting at St. Barnabas Church, Sea Road from 10:15am – 12:30pm. Our guest speaker is Daryl Holter from Sussex Police who will be giving a talk on ‘heritage crime’. This will also be a chance for those in attendance to learn about our own mission and current progress. Free entry to all, refreshments will be available.